Dr. Culjat earned his B.S. at University of California San Diego and his M.D. at Chicago Medical School. 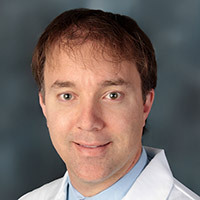 He completed his Residency and his Pulmonary, Critical Care and Sleep Fellowship at USC Medical Center in 2007. Dr. Culjat is Board Certified in Internal, Pulmonary, and Critical Care Medicine. Dr. Culjat is fluent in Spanish and has moderate fluency in Croatian and Czech languages.